Detailed vector illustration of a furious wild beast. Long dark fur, elongated head similar to a wolf, long fangs and angry eyes. 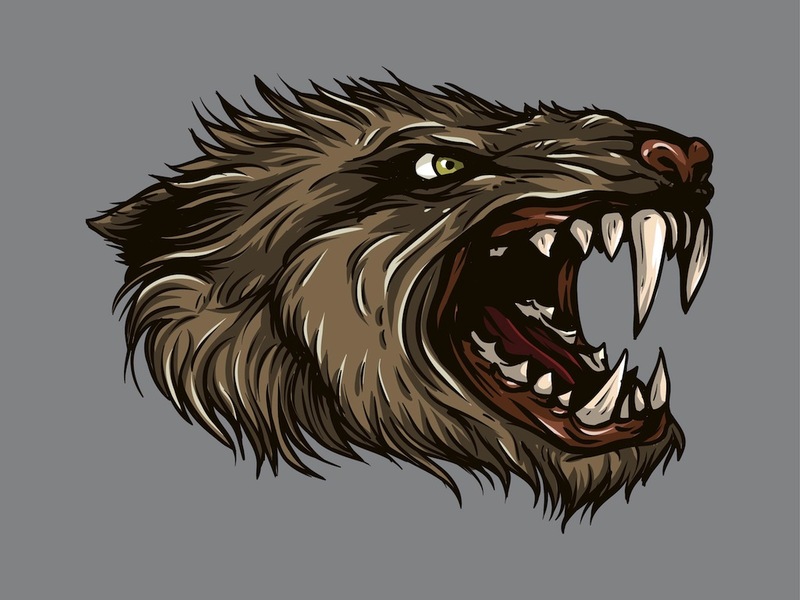 Scary detailed vector illustration of the head of a wild animal. Free vector monster illustration for all wilderness, monsters, scary animals, T-shirt print and tattoo designs. Tags: Angry, Animal, Head, Monster, Scary, Teeth, Wild.